Nothing ground-breaking, but it should entertain the average Melodic Hard Rock fan very easily. 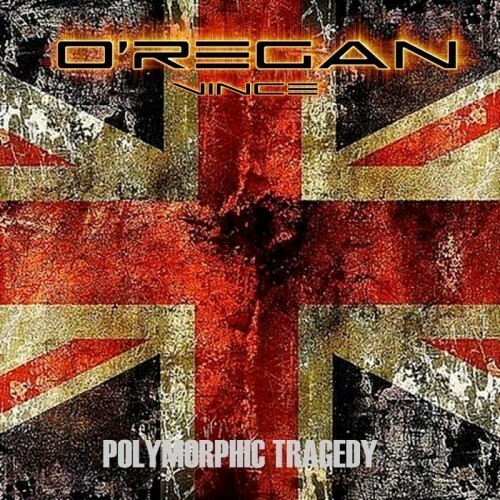 I've always been a supporter of Black Country guitarist Vince O'Regan so I was, of course, very keen to hear his latest solo album 'Polymorphic Tragedy'. Once again, the album features a mixture of guest vocalists including Paul Sabu, Phil Vincent and Nick Workman (Vega). One of the best things about these solo releases from O'Regan is that he seems more experimental with his styles and sounds through his song-writing, giving us something different. On the previous two O'Regan releases though, I did keep feeling like many of the songs were offcuts from previous projects; I don't think that is as apparent this time although I'm sure some of these songs may have been taken from recent writing sessions, possibly with other projects in mind at the time. The tracks do have a distinctly different feel to his other bands/projects, for example the offerings with Workman and Vincent do not sound like Eden or Legion. It's a decent enough album and as a long standing fan of Vince O'Regan's it's nice to see him mixing it up and it's cool to hear a few tracks which hark back to the sound of Pulse. I do feel, however, that the album, because of its various singers and song styles, can seem a little disjointed and I think this nonlinear flow does affect the impact of some of the songs and the overall impression the album gives. One of the best numbers is the atmospheric and emotive 'Gabrielle' which has a strong Pulse flavour to it; it's a really haunting musical piece that Vince O'Regan has written and one that does stand out when listening to the album. '...Tragedy' has a lot of light-flavoured, upbeat Melodic Hard Rock but it's the Pop Rock vibe of the Workman tracks that stand out for me. Both 'Welcome To The Real World' and the superb 'Destiny' bear very little resemblance to their previous band Eden; it's much more upbeat and perhaps a tad softer but far more commercial. I'd be intrigued to hear a full album collaboration between Workman and O'Regan with this style in mind, but sadly given how busy both musicians are with other bands and projects... I can't see this happening for a good while. 'Polymorphic Tragedy' is nothing ground-breaking, but it should entertain the average Melodic Hard Rock fan very easily!